Behaviour-based systems for measuring food safety culture complements the normal risk-based, system and process checks, as it offers insight into what employees really think and understand about food safety. Food Safety Culture Excellence (FSCE) Assessment Module is available is 40 languages. The individual user selects their language of choice. Many organisations are beginning to realise that despite investment in food safety training, system implementation and auditing, something is still missing. This ‘something’ is the assessment of their food safety culture, which until now has been very difficult to measure. Food Safety Issue 8 now requires a manufacturing site to have a clear plan for the development and continuing improvement of a food safety and quality culture. In an area that is traditionally difficult to measure BRCGS have partnered with TSI and are using their model to assess and measure food safety and quality culture. Any site can go through a series of site assessment questions that will result in a breakdown of scores by category and dimension that will pinpoint strengths and weaknesses and set out an improvement plan. A minimum % of staff must go through the process at senior, supervisor and operator levels to make this a valid assessment. Categories include process, people, proactivity and purpose under which there are each 5 dimensions such as training, communication, systems, coordination and strategy all relating to food safety and quality within the organisation. The site will receive a report with an overall score and grade broken down by category and individual dimension which is benchmarked against all sites in the programme and against sites in your product category. In addition, the report includes the lowest and highest category scores, the main barriers to improvement and key strengths. For the first time any site can demonstrate they have assessed their food safety and quality culture and as a result have prepared a plan to improve and strengthen culture within the organisation. This is critical for any manufacturing site, their customers and the consumer. 1. 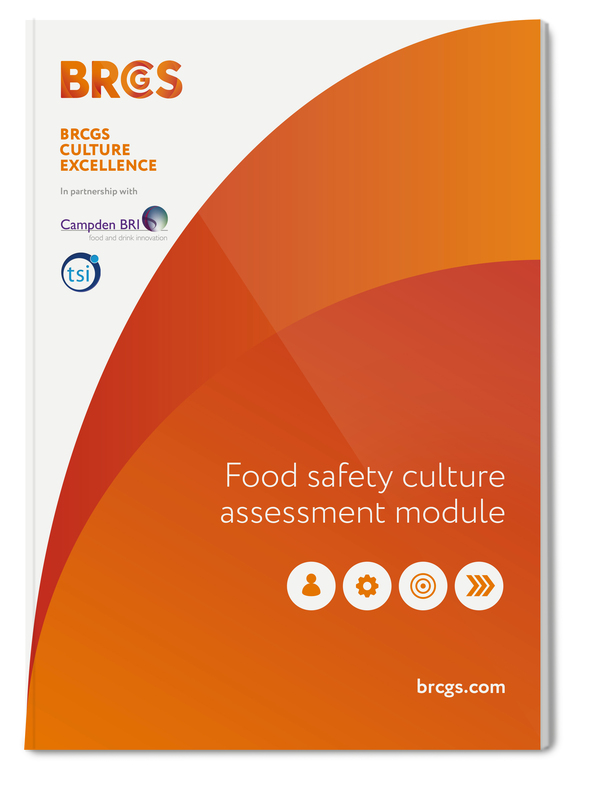 Purchase your Food Safety Culture Excellence Assessment Module from the BRCGS Bookshop. 2. BRCGS will send an application form to the site to capture key information. 3. Site Completes form and sends back to BRCGS. 4. BRCGS sets up the site on the TSI portal. 5. TSI communicates with the site and provides a site survey link and additional information. 6. Site completes the self-assessment and a Food Safety Culture Excellence report is generated and sent to the site. Click to view a sample report. 7. TSI uploads the Food Safety Culture Excellence report to the Private section of the BRCGS Directory.